Sam visited us for the first time back in November 2011 and was diagnosed with androgenetic alopecia, also known as male-pattern hair loss. He is using our Trichopeptide Regrowth Stimulant and our specialist shampoo & conditioners. Androgenetic alopecia usually follows a pattern of receding hairline, followed by hair thinning on the crown and is caused by genetic predisposition and hormones. 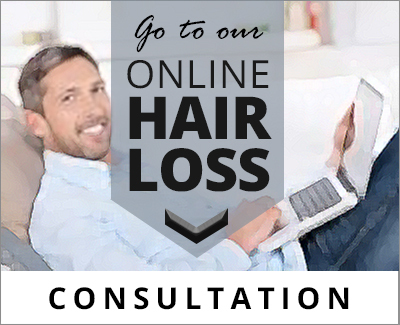 Call us on 0207 152 4473 today to book your non-chargeable consulation.